Beer and pizza, pizza and beer. 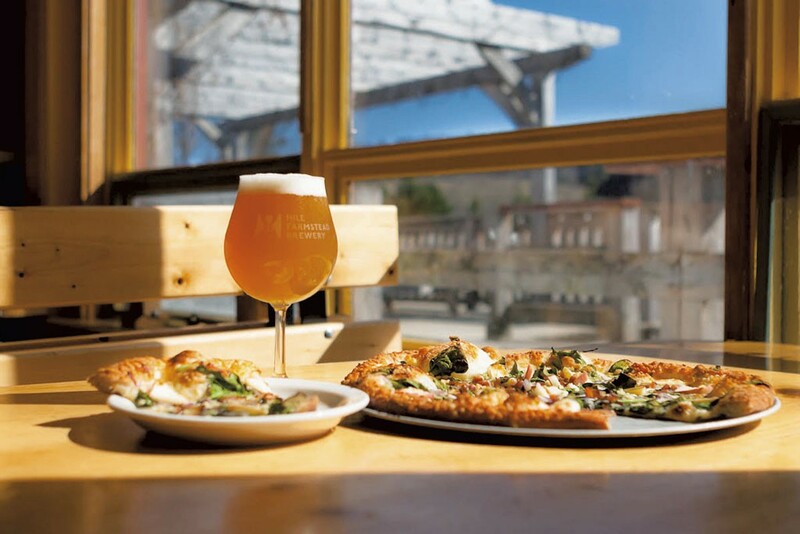 West Glover's Parker Pie celebrates mud, glorious mud as only a brew-focused pizzeria can — with uncommon drafts from nearby Hill Farmstead Brewery and an array of rare cellared bottles from Brasserie Cantillon and other old-world breweries. And if good beer and fresh pizza makes your heart want to sing, there's karaoke, too. A Mud Season Celebration with Hill Farmstead at Parker Pie: Saturday, April 13, 5-10 p.m., Parker Pie, West Glover. Cost of food and drink. Info: 525-3366; parkerpie.com. Vermont Wine & Cheese Tasting: Market visitors sample local cheese and handcrafted ferments from Iapetus Wines and Fable Farm Fermentory. Friday, April 12, 4-7 p.m., Brownsville Butcher & Pantry. Cost of food and drink. Info, 546-2900. Single Mingle Cooking Class: Eligible bachelors and bachelorettes gather for a hands-on course in making tapas; lively conversation and BYOB encouraged. Friday, April 12, 6-9 p.m., Richmond Community Kitchen. $55. Info, 434-3445, richmondcommunitykitchen.com. Opening Day and Annual Cocktail Party: Hinesburg's Red Wagon Plants opens its greenhouses for retail sales, with cocktails by Caledonia Spirits and snacks from Farmers & Foragers. Friday, April 12, 8 a.m.-8:30 p.m., Red Wagon Plants, Hinesburg. Cost of food and drink. Info, 482-4060, redwagonplants.com.